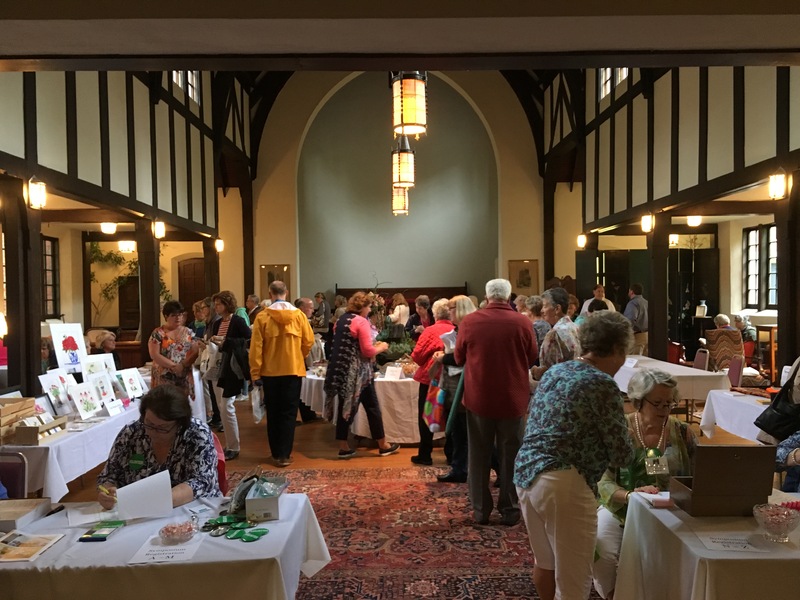 The garden tour was a success despite the weather. Would you believe I didn’t take a single picture? I’m quite upset at myself over this, but I was busy during the entire time that I completely forgot. Ugh! Anyhow, the weather was cold and overcast all morning, but by afternoon the sun started to come out and the day warmed up. My neighbor was involved in putting the garden tour together and if you ask me she should be given an award for handling far more than she volunteered for. My mother joined her at the Episcopal church where the Symposium was being held to help out. When we arrived a little after 8:00 it was already beginning to develop quite a crowd. I believe there may have been around 100 visitors. At first one or two people came through every few minutes and then small groups throughout the day and by the end of the day one large group of about 16 people. I had positive responses from everyone despite the condition of the cottage. 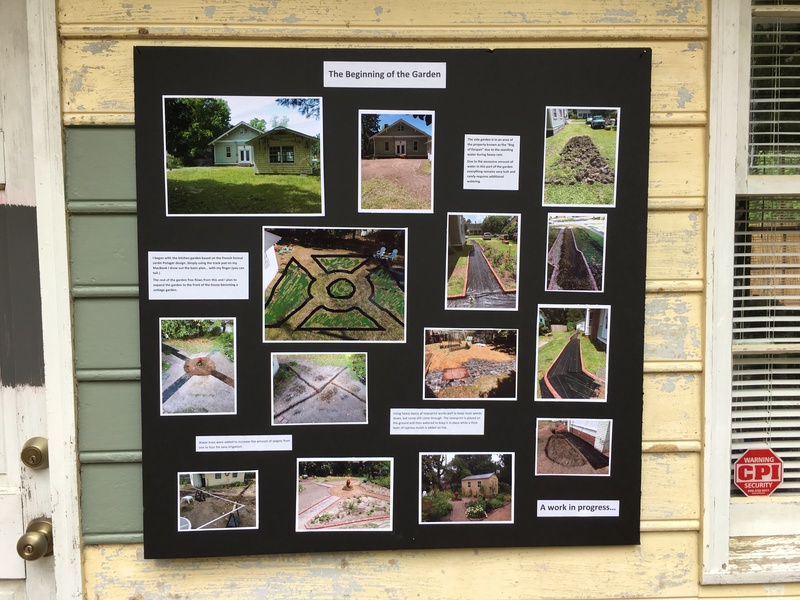 Display board chronicling various stages of the gardens development. I found it amusing when several people asked me if I had put this all together myself. I said yes and with help from my roommate and some friends and that it has been going on for 2 years. The amusement came from these people saying that many of the gardens they visited were all professionally landscaped and lacked personality. They said that mine had life! This made me feel good. The garden symposium is held every two years so perhaps I will be able to participate again. I am certain the cottage will be painted by then! I will also be sure to take pictures next time while the tour is going on. 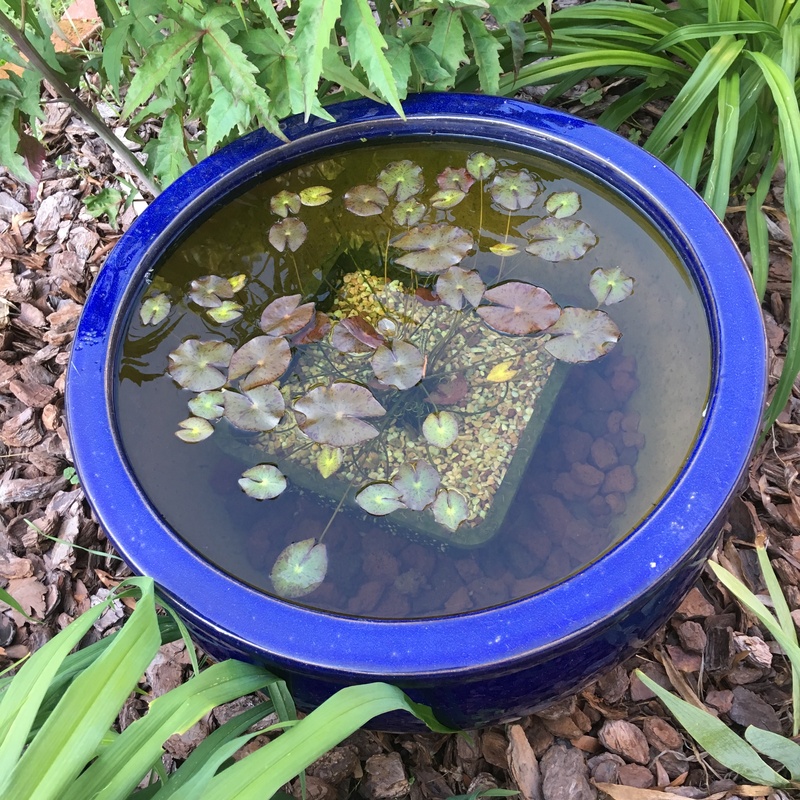 The water-lily was a hit even though it is not flowering right now. It has definitely filled out since planting it. 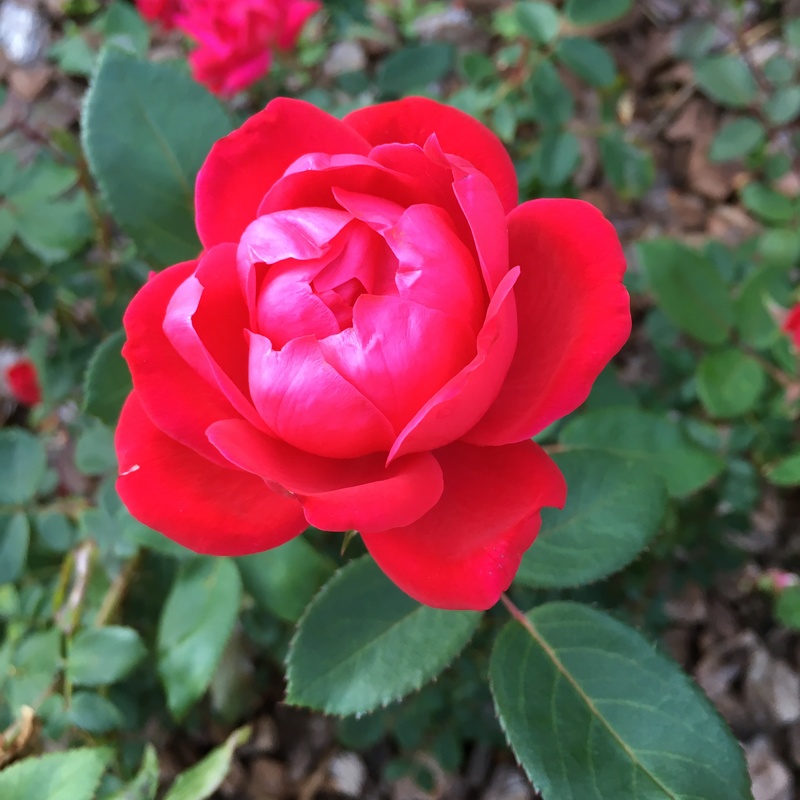 A vibrant red knock-out rose. 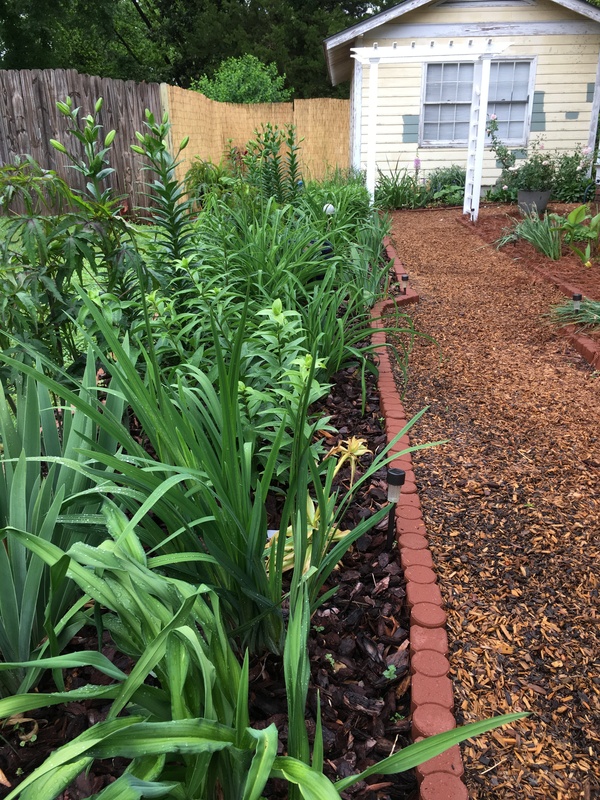 The side bed is very lush in green and soon the lilies will begin to bloom up and down. It would have been nice if more had been flowering during the tour, but in the end everyone enjoyed coming through and seeing my “Work in Progress.” Now that the tour is over I feel like I can relax a little and I can finish the cottage, picket fence and the pavilion at a slower pace. I have all summer.